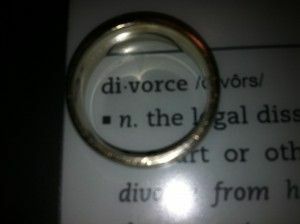 Home / Christian Lifestyle / QUESTION: Why Are Young Christians Divorcing? QUESTION: Why Are Young Christians Divorcing? Just a few short years ago she was dressed in a long white dress and he in a tuxedo, confetti was flying, and everyone was cheering and celebrating the wedding. Now they’re living separately and may even divorce. No one thought this could happen – least of all them. It’s sad to see any marriage run into trouble and break up. But it’s a particularly sad phenomenon that an increasing number of married young adults who have been born and raised with the teachings of the Bible have begun having serious marital problems. Anecdotally, I know of a few who have even divorced. You probably know of some yourself. What’s going on in such situations? When two lives commit to become one in marriage there will be big adjustments. But are those in today’s Millennial generation—those in their teens and 20s—dealing with a particular mindset and set of expectations harmful to lasting marriages? My generation—those now in their 20s and getting married—has been bred with the lie that self-fulfillment is the ultimate and highest attainable goal in life, and therefore by extension that love—the kind you fall into—exists to give us what we need and want. Therefore a good marriage is one where both parties get what they need. We may not even realize what has happened to our thinking and values. We’ve been taught to think in a self-centered way as we pursue the ideals of the well-lived life. We rationalize that “of course God wants me to be happy,” while we kick the can of responsibility down the road just a little longer. This belief in self-fulfillment pervades our generation so deeply that it’s almost as if it were in our blood. But in that version of attaining happiness, marriage is downgraded to only a part of the fulfilled life—another contributing factor to one’s own personal fulfillment. Concurrent with the rise and acceptance of this pursuit of self-fulfillment is the increasing delay of maturity—the extended period of adolescence. Today many people delay marrying until their 30s, using their 20s as the decade to check off as many things as possible on the list before reality sets in and responsibility drags them down. The attitude could be summed up as, “Getting married at 22 seems an awful lot like leaving the party at 9:00 p.m.” The “party” is the pursuit of both self-fulfillment and romantic/sexual experience. “The one” is the person who will make him happy and whom, theoretically, he will make happy. They will be highly compatible. Their chemistry will be undeniable. Their love will come easily and naturally— so easily that all that will be required is for them to fall into it. The final stage is when you hear, “It didn’t work out”—as if “it” was the problem. “It” is never the problem—the people involved caused the problem. But true love is not the pursuit of fulfilling one’s own needs, wants and desires. True love is a sacrificing of one’s own life for another. It is putting one’s own wants, needs and desires in second place (or third, or fourth, or farther down the line). Marriage is a commitment each of us makes to our Creator and our spouse. Marriage partners are “to be heirs together of the grace of life” (1 Peter 3:7). In other words, we are to work together to help each other attain our ultimate goal of God’s Kingdom (Matthew 6:33). We are to encourage and help each other to succeed in this life’s endeavors, but with that to grow in grace and knowledge so that we can stand before Jesus Christ at His return (Luke 21:36). To do this we set aside self-fulfillment in favor of what the other needs. It involves making one’s life the definition of service in living for the other. It entails setting aside childish shortcomings, avoidance of responsibility and foolish distractions and striving to emulate the perfect love and example of Jesus Christ. To be clear, by no means do I recommend that we shouldn’t experience life to its fullest, that we shouldn’t pursue our dreams or that we shouldn’t seek self-fulfillment. Nor do I mean that we shouldn’t find out through dating what type of person will make a happy, fulfilling marriage the most likely for both parties. Or that we shouldn’t have a list of goals to pursue and live to our fullest potential with the talents God has given us. I don’t mean to imply any of that. None of the things mentioned are bad or good in and by themselves. Knowing firmly who you are and finding a compatible person with whom to share your life makes the Christian walk much more enjoyable and fulfilling. To live a truly fulfilled life is to look back at the end of it and see that more of your time was spent serving God than not—that you sacrificed your needs and desires and dreams in deference to His will and the needs of His children, having made your life the definition of service. We do not exist to check off the bucket list and to look back and think, “Wow, what a self-fulfilled life I’ve had!” It is not our destiny to live a personally satisfying life and then die. Nor is it to marry the person who makes us happy until he or she doesn’t anymore and then find somebody else. No, we exist to become like God the Father and Jesus Christ in their loving character. We exist to learn what true love is—an outgoing, service-minded devotion and care—and to exercise that love toward all of God’s children. In marriage, it is to put personal needs, desires and dreams in third place behind those of God and one’s spouse. It means making the hard decision not to do what feels good, but to instead do what’s right. We exist to look back and say, “Wow, I would’ve never dreamed of how much God used me to fulfill His purpose!” May this focus guide you in marriage and in all of life!